" "Wow! Sharon has a beautiful voice! It has the same tone and richness of Karen Carpenter's voice, but prettier." Last week, I heard a great compliment of you and how you present your talent. They said, " She always sings with a deep and real joy emitting from her. You will always feel good as you hear her sing". Thanks so much for your fabulous musical presentation for our precious MOPS Moms yesterday! It was simply OVER-THE-TOP!!!!!!!!!! The ladies all enjoyed it so much. It made those whose husbands are deployed feel special, also! I know it will touch a lot of people.
" 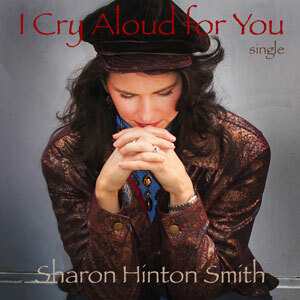 Sharon, I just listened to your CD and it is absolutely beautiful! I especially like the song you wrote. I know it will touch a lot of people. "